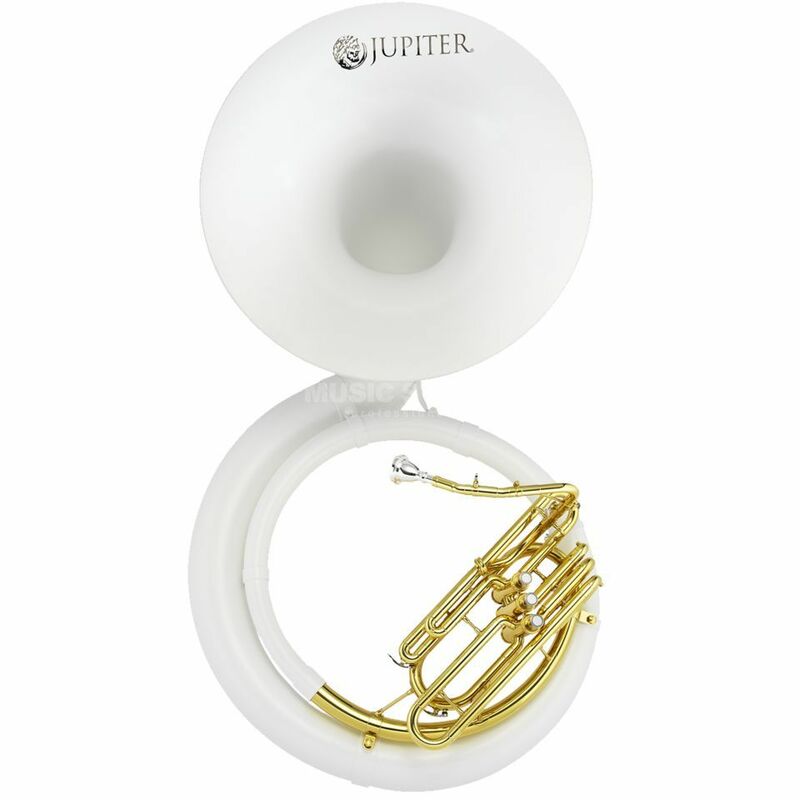 The Jupiter JP-592L Bb Sousaphone is a Bb sousaphone, featuring a fibreglass body, with a 17mm bore, a 660mm diameter bell, and includes a bag and accessories, with a lacquered finish. The JUPITER JP-592L Sousaphone is a special edition. It convinces with a high grade of sound presentation and ergonomic comfort. Because its body is out of fibreglass this instrument is very lightweight. The sound of the JP-592L is rich and warm and convinces with an excellent attack point. A special future is also the lightweight gigbag which comes with the instrument.